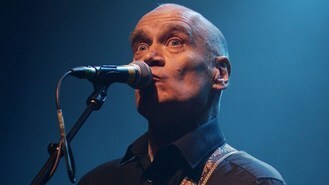 Wilko Johnson, who was diagnosed with pancreatic cancer, has pulled out of Glastonbury Festival and other live shows as a result of a pioneering major operation which it is hoped could save his life. The guitarist, who found fame with Dr Feelgood, is going to be "out of action for the foreseeable future", according to a statement issued on his behalf. Wilko, 66, has previously refused to undergo chemotherapy, but despite his ongoing illness he has continued to perform and record. He recently had a top three album Going Back Home, which was a collaboration with The Who's Roger Daltrey. The musician, who has also appeared in TV hit Game Of Thrones, has talked of having a sense of "euphoria" after being given his diagnosis, feeling a new joy for life. He is undergoing an operation at Addenbrooke's Hospital in Cambridge. In an interview with GQ before he went in for the procedure, he said: "There is a small chance of dying, but that's nothing. Because for over a year I have been living with a 100 per cent chance of dying." The complex operation involves the removal of the tumour with his pancreas, spleen, a section of his stomach and intestines and some of the blood vessels to his liver. It had become apparent in recent months that the cancer was not as aggressive as first thought, but without intervention he would still have died. In the interview with Tony Parsons for GQ, he said he was still coming to terms with the fact his life could be saved: "It's unreal to me. I'm going to have to readjust my mind as well as my body." A spokesman for Wilko said: " Doctors are hopeful that following the surgery the prognosis for Wilko will be positive." In addition to his Glastonbury show, the star is cancelling his Reading/Leeds Festival shows as well as other UK and European dates. Wilko made a public appearance at the Music Week Awards in London last week to support his pal Roger Daltrey who was receiving an award for his charity work for the Teenage Cancer Trust.